Delivering custom virtualised solutions that focus on where you business is going, not where it is. The backbone of your business – the right tools and products ensure speed, performance and density. The way we consume IT is ever-changing. Our focus is on user experience rather that technology. Can you ensure that your network is safe and your data won't be comprimised? As Microsoft Gold Partners, we're experts at designing and supporting Office 365, AD & Exchange solutions. Where would all of these areas of expertise be without training to maximise the business investment? We love a podcast here at ComputerWorld! Today we are recording videos and a podcast with @dropletcom! Barry Coombs is one of our resident vExpert's, prolific event doodler and, perhaps most importantly of all, Barbecue maestro. Microsoft automation is the name of the game and Oli wants to play the game with you. When he's not out and about in his camper van that is. Jonathon is the longest employee at ComputerWorld and has seen this industry change more than most people. As ComputerWorld Technical Director there's nothing David doesn't know about Microsoft and VMware. Just don't ask him on the golf course. Angus is our managed service account manager, when he isn't working with customers, he likes to spend time with his kids. Ben is our virtualisation and storage specialist. Ask him anything about vSphere and supporting technologies and he can talk for hours. Resident petrolhead Mat lives in the fast lane and is our specialist in End User Computing. He lives and breathes it – blink and you'll miss him. Adam is our Pre-Sales End User Computing specialist focussing on the VMware Horizon product stack. He's also a mean gamer and mad for cats! 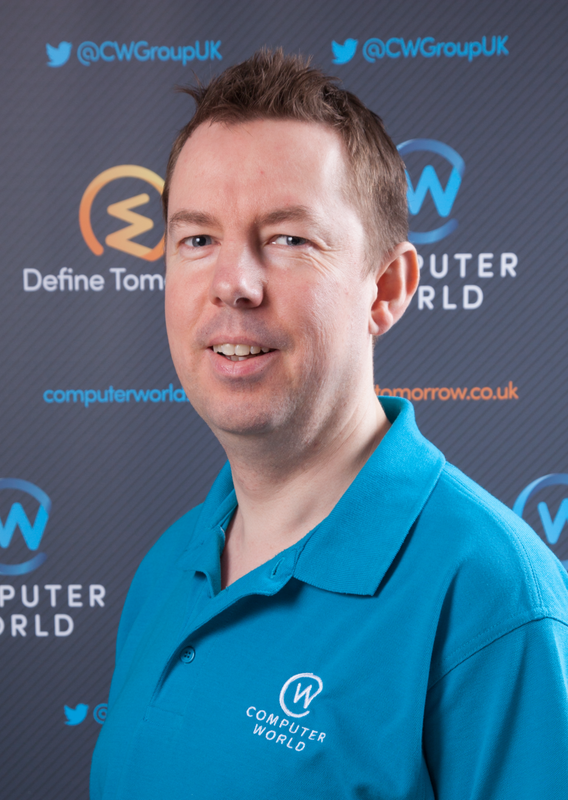 Chris is our EUC & virtualisation consultant and master problem solver. He is a fiendishly fast downhill ski racer and all round good egg. Matt is our Wired and Wireless Networking expert! Outside of work he supports the Bristol Bears Rugby Team.